Sarah Winifred Searle Thank you! The comics here on Whist are Patreon-supported, and this past week you fine folks helped me reach my first goal! 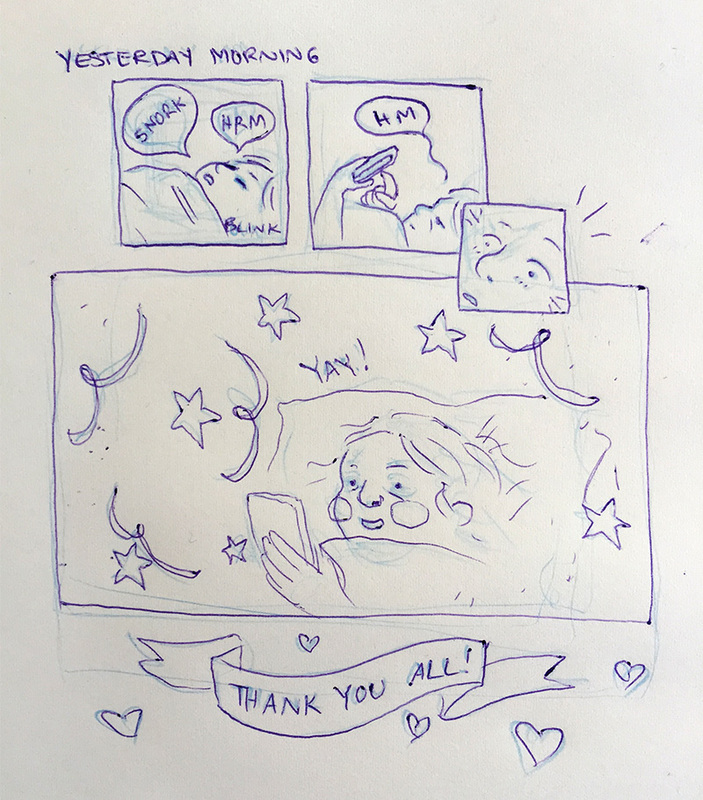 It means I’ll be posting some journal comics over there before anywhere else, as an exciting exclusive treat. Other patron rewards include top secret previews of the graphic novels I’m working on, high-res downloads of art, postcards and sketches in the mail, and even super-limited commission spots! Check it out here.